It’s now three weeks into the new year… was your New Year’s resolution to lose more weight? Or maybe you’ve decided to commit to a more healthy lifestyle? Then you have to check out these cookbooks. Plateauing on Paleo? Chris Kresser gives you what you need to break through your weight-loss stall in his new book. Kresser uses the Paleo diet as a baseline from which you can tailor the ideal three-step program to Reset, Rebuild and Revive your body, and in a way that fits your lifestyle, body type, genetic blueprint and individual needs. 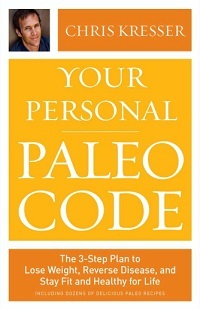 Your Personal Paleo Code offers a seven-day meal plan and diet “prescriptions” for specific health conditions such as high blood pressure, heart disease, digestive problems and more. 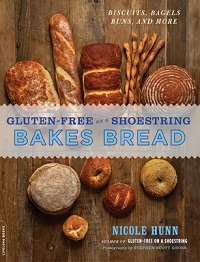 Nicole Hunn’s newest gluten-free cookbook is one for foodies and nutritionists alike — this time, it’s all about bread! Everyone knows that baking or buying good, gluten-free bread can be as elusive as finding the perfect pair of jeans. Gluten-free guru Hunn has cracked the code to give you 100 recipes to satisfy your crispy, crunchy and doughy cravings. From rolls to muffins and everything in between, this is a must for anyone looking for gluten-free perfection. Britney Rule and Cherie Schetselaar are a mother-daughter team who are determined to bring you and your family healthy meals that aren’t dull or boring. 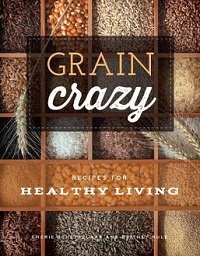 Based on their wildly popular blog, Grain Crazy focuses on meals that contain whole grains such as whole wheat, quinoa and oats, and recipes that range from breakfast, to snacks, to desserts. If you’ve ever wondered how to cook spelt, amaranth or kamut (or even wondered what they are), this cookbook will be a staple in your kitchen for years to come. Whether you’re a vegan, vegetarian, omnivore or anything in between, investigative journalist Jo Robinson’s new book will leave you questioning everything you thought you knew about produce. 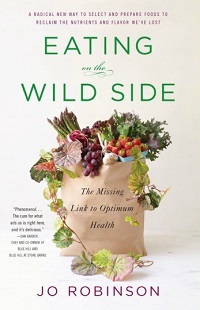 Eating on the Wild Side reveals the deep-hidden truths behind the nutritional history of modern-day fruits and vegetables. Based on years of research, Robinson investigates how centuries of farmers have unwittingly done away with essential nutrients in our produce, and offers simple ways you can enhance their health benefits. Any runner knows that what you eat can have a direct influence on how you run. 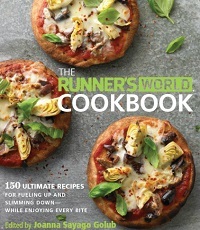 The Runner’s World Cookbook offers 150 recipes intended to maximize a runner’s performance and enhance the nutritional benefits of what they’re fueling their body with. With recipe categories broken down by vegan, vegetarian, gluten-free and more, anyone from novice to experienced runners will reap the benefits from these recipes. As a bonus, not only are they nutritionally exceptional recipes, they taste amazing, too!